in support of the TEENAGE CANCER TRUST. What's hotter than the heat of a sizzling Las Vegas summer afternoon and cooler than a tall drink of water? How about the coolness of seeing and experiencing a brilliance like the sun through a possible legend within a legend sharing something never done before. Look inside to what's shining so brilliantly: Led Zeppelin's legendary Robert Plant sporting his new 1970 King Arthurian goatee and shining it all with new music backed by the Strange Sensation at the Las Vegas Hilton Convention Center sharing a mystical musical legendary moment. Here it is - something of the old something of the new, something never done before: For a moment Robert Plant shared the time when he was sitting there in a front row red velvety booth at the very same Las Vegas venue with Jimmy Page in 1970 watching his most favorite legendary artist, Elvis Presley, playing on stage. Now how about all that plus me at this Robert Plant & the Strange Sensation's event kicking off my shoes, dancing practically barefoot at that front row spot of this fancy carpeted venue and Robert Plant calling to me on stage, "Melanie!" during "Whole Lotta Love"! Now that's legendary! It's mystically and musically legendary: I do believe I saw King Arthur for a moment there in Robert Plant, the presence of a great legendary leader, a spirit-a man of decisive action, skill, talent and wisdom, a friend of a magical wizard. What might we learn from this King Arthur - look inside and see. He is The Enchanter now leading and shining through lyrics and music with powerful resonance and dance. It's most cool: The acoustic ecclectic percussive rhythms a main element of sound and soulful expression in his newest music including this year's new record Mighty Rearranger and in new version of his Led Zeppelin classics. Of the new and old and most cool was the harmonizing acoustic version of "When the Levee Breaks" with the Strange Sensation's newest bandmate, Billy Fuller, on stand-up bass, and most beautiful and melodic "All the Kings Horses". And yes, it's worth sharing: the hottest tall cool one, Robert Plant & the Strange Sensation and everything you may have ever learned from it all. See the official Robert Plant website at ROBERTPLANT.com for tour dates plus new music from The Mighty Rearranger" and more. Medecins Sans Frontiers to provide medical aid wherever needed. Nelson Mandela Foundation to help raise Global awareness of AIDS/HIV. SOS Sahel the only British development organisation to focus exclusively on the semi-arid lands of the Sahel and Horn of Africa to support activities in Kenya, Ethiopia, Sudan, Niger and Mali, some of the poorest countries in the world to meet their needs and address their problems. TO LEARN IS TO KNOW. It was an evening with two great bands: Robert Plant and The Who at Jones Beach. 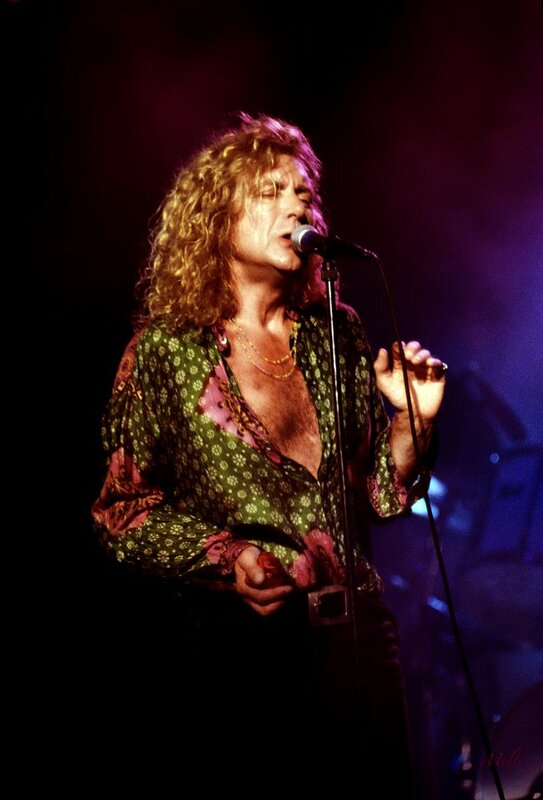 For you who have not experienced Robert Plant, he is the legendary and charismatic lead vocalist and songwriter of the classic rock group, Led Zeppelin. An everlasting stage presence and resonance that projects the strength of a lion king flowing with movements like rings of smoke that would whisp through trees and the coyness of a fox - He owns the stage and captivates his audience. Still singing the blues and making all the classic Robert Plant moves, he brought back his solo sounds of "Now & Zen" and "Manic Nirvana" singing "Tall Cool One - Lighten up baby I'm in love with you!" and "Tie-Dye On the Highway - Say you will come back with me..." And as emotional as ever, he gave a beautifully smooth delivery of Led Zeppelin's "Going To California". As to the importance of the blues and rock n' roll history in our musical development, it is essential to know who's there: The music built on the foundation of the blues, the music of Robert Plant, Led Zeppelin, and The Who. And as Robert says, "This one's for Howlin' Wolf, Willie Dixon, and Muddy Waters..." thus he begins a unique bluesy intro to the Led Zeppelin classic "Whole Lotta Love - You need coolin' woman I ain't foolin'... I wanna whole lotta love..."
The "Stairway To Heaven" on this night were those steps that led to the top of the Tommy Hilfiger Jones Beach Theater from the seats down below and up front in the orchestra section, and vise-versa. The perceptions from all points were nothing but heavenly, heaven knows. From the top of the ampitheater a beautiful view of the Atlantic Ocean and scenic marshes and beaches of Jones Beach - Long Island, NY; from the orchestra section the water's edge and about as close as one may get to see such artists as The Who and Robert Plant as they are now; and from backstage... the cool coastal breezes, welcome blessings and smiles, and warmth of the joy of resounding great talent. "Love Reign On Me!!!" - It's THE WHO! Roger Daltrey, Pete Townsend, and friends sounding and playing with amazing strength, pianist-John "Rabbit" Bundrick, bassist-Pino (Pinkerton) Palladino, back up guitarist-(brother) Simon Townsend, and the powerhouse backbone drummer-(son of Beatle, Ringo Starr) Zak Starkey. Classic Roger Daltrey whirled and whisped around his mircrophone like a lasso as Pete Townsend, historically known for smashing guitars on stage in the '60s, was masterfully in control of all that is of his best expressions through his guitar. It was a lovely endearment and display of their down to Earth reality to hear how they swear at eachother with the utmost love and honor, and carry on into the creation and expression of such classic music - no matter what they tell eachother to fxxx-off and do. The history of the blues and rock n' roll is in all the music and lifestyles demonstrated by these classic musicians. With a retrospective photo slideshow honoring the history of The Who from their beginnings in the '60s with original drummer-Keith Moon and bassist-John Entwhistle to present day, and a special regard for their former bassist, the late John Entwhistle, there was an overwhelming shared sense of appreciation and understanding. Through a little bit about "Tommy" and a little bit of "Quadrophenia", it's always a blessing to know and hear "The Kids Are Alright". The Who are supporting a good cause through sales of a limited edition "Encore Series" CD of their live performances on this tour. All proceeds will benefit "Young People's Trust" supported by The Who. The Young People's Trust for the Environment is a charity which aims to encourage young people's understanding of the environment and of the need for sustainability. To buy this "Encore Series" CD and support a good cause go to www.themusic.com. You know who's there! We'll keep knocking on "The Doors" as an essential part of historical music development. And maybe one day Robert Plant will talk to me about the essential ELVIS and the historical you know who. 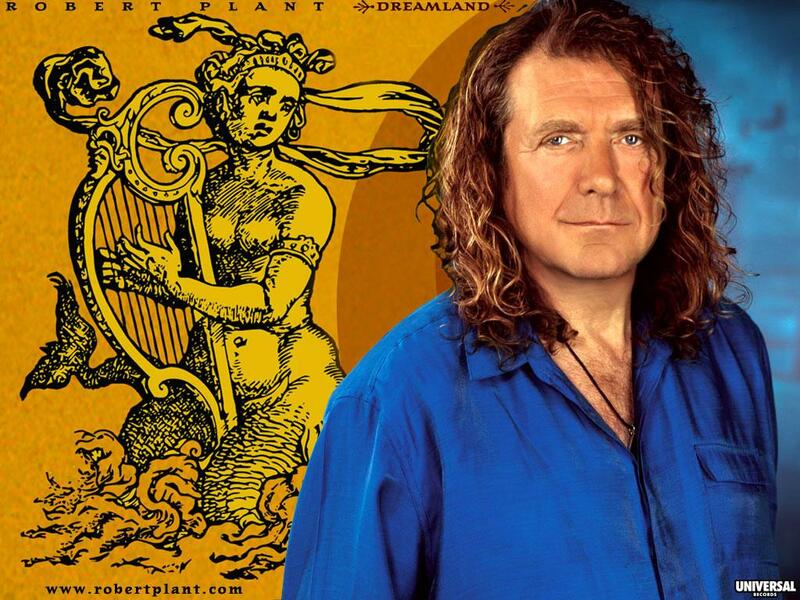 For more information and CDs go to the official Robert Plant website at ROBERTPLANT.COM.